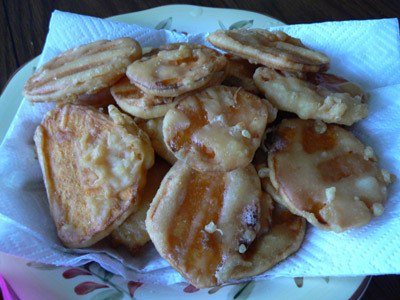 This recipe is for sweet potato tempura. 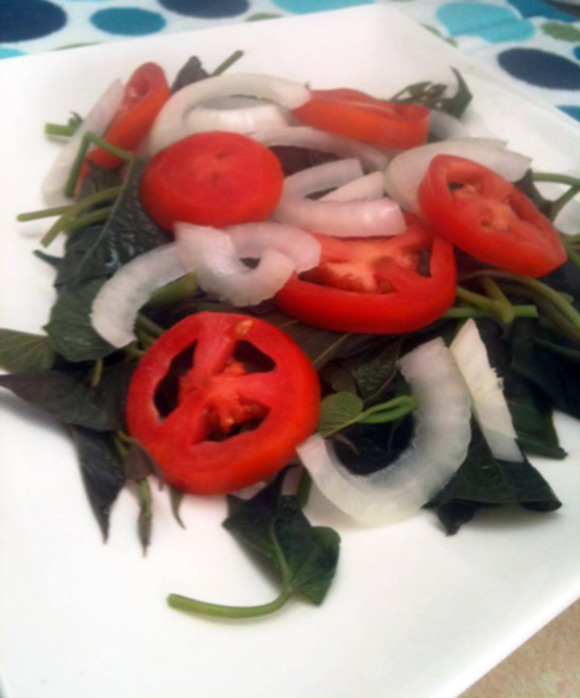 However, you can substitute other vegetables like brocoli, onion, carrot, beans, mushrooms, etc. You can even do seafood like shrimp, fish and soft shell crab. Try a variety batch to see what you like best. This recipe makes about 6-8 servings. 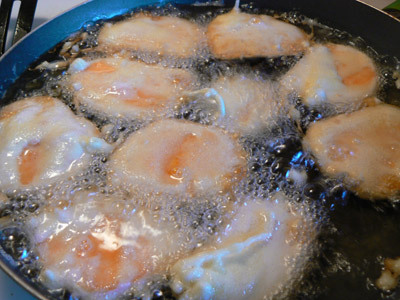 Fill your pan or deep fryer with vegetable oil. Heat the oil to 375 F.
In the meantime, peel and slice the sweet potato into ½ thick pieces. 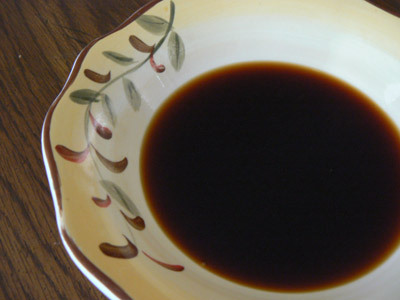 Mix the batter ingredients in a large bowl, whisking until well combined. 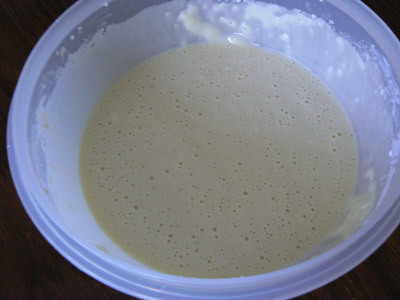 The batter should be fairly runny, but add more flour or water if you need to adjust the consistency. Dip the potatoes into the batter and let the excess run off. Carefully place the potatoes in the oil with a fork or tongs. Hold the potatoes above the bottom of the pan for a few seconds to prevent them from sticking. 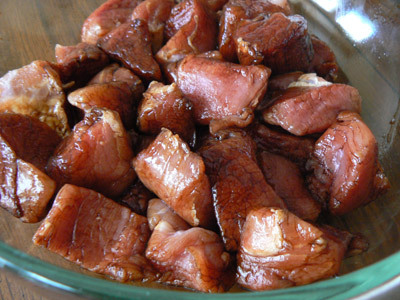 Fry until golden brown on all sides, about 2 to 3 minutes. 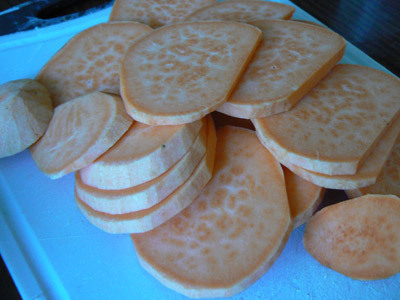 Remove the sweet potatoes from the oil and allow them to drain on a paper towel. 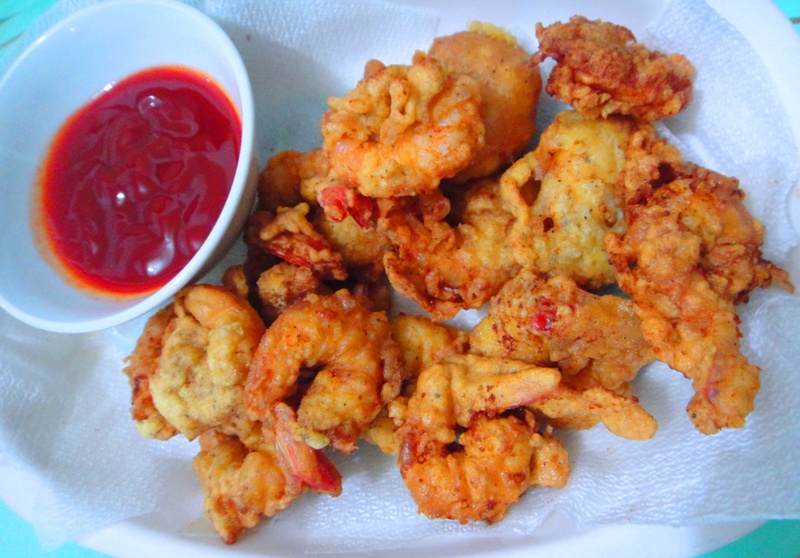 Serve with tempura dipping sauce and enjoy.